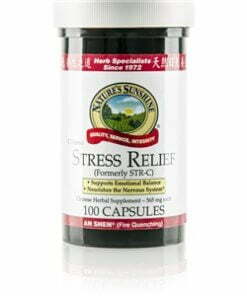 Three key herbs join together in Nature’s Sunshine’s Stress Relief to calm and relieve anxiety as well as to support circulatory and gastric functions. Oyster shell, a substance found in Chinese medicine, and haliotis, both thought to alleviate anxious feelings, consist of calcium carbonate which may support gastric and circulatory health. Another Chinese herb, fushen was traditionally used to stabilize restlessness and anger. 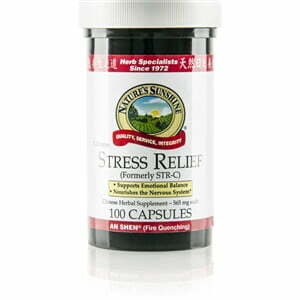 Stress Relief combines these three herbs to produce a powerful formula that may steady emotions as well as provide benefit to internal health.